Tuesday November 29th 7pm to 9pm. This month after our usual social half hour, we will be getting into the festive spirit with crafts. 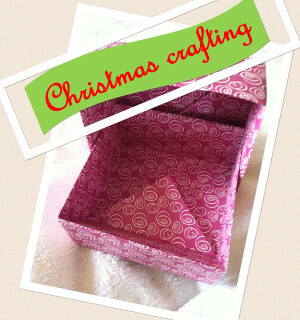 We will be making a selection of craft items including gift boxes, felt decorations and Christmas tree icing toppers. We’ll provide all the materials needed. Feel free to bring along your own craft projects too! Visitors are more than welcome and are asked for a donation of £5 to help cover costs. We will be at St. James’ Hall. Say you’re going on the Facebook Event! You’ll need to have joined the Facebook Group to see the event. Membership is now open for next year – £39 for full members, £19 for dual members. If you aren’t a member and join this month, you get November’s meeting for free! We accept cash, cheque and even bank transfers now – talk to Anna for details.